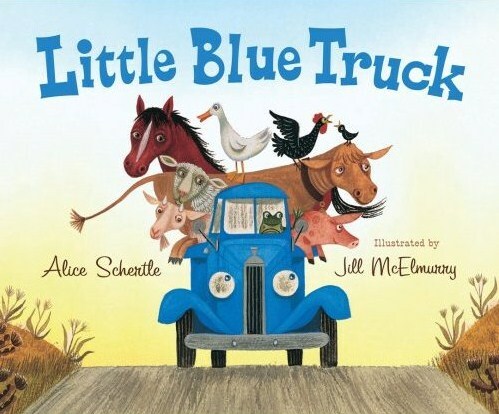 A friendly blue truck gets stuck while trying to push a dump truck out of the mud. Not to worry! The farm animals he met along the way come to the rescue. This book is a good model to use when working on word choice. The author creates concise rhymes on each page and utilizes onomotopoeia in the text as well. Lesson idea: As you read aloud, think aloud about how the author uses sounds to create the story. Begin a class list of words that make sounds (Honk!) to use as a resource during writer’s workshop.